Access to water and sanitation is a basic human right. However, the United Nations (UN) estimates that at least 1.8 billion people have to drink water contaminated with faeces, while 2.4 billion people lack basic sanitation such as toilets or latrines. This contributes to nearly 1,000 children dying each day due to preventable diseases and is a major hurdle for the development of both people and nations. The UN has therefore identified access to water and sanitation as one of its 17 Sustainable Development Goals. By 2030, it wants to achieve universal and equitable access to safe and affordable drinking water, ensure access to adequate and equitable sanitation and hygiene, and end open defecation. The programme looks to advance solutions, expertise and know-how to address the global water challenge in local communities, as well as internationally. To maximise the benefit it brings, Water for the World works in partnership with NGOs and the private sector, including the partners and customers of Borealis and Borouge. Since its launch 10 years ago, Water for the World and its partners have carried out numerous projects across Asia and Africa, including in India, Pakistan, Nepal, China, Ethiopia and Kenya, benefiting the lives of around 800,000 people. Providing safe and affordable drinking water to around 50,000 of the poorest people in Nairobi, Kenya. This is the programme’s largest ever project and was carried out in partnership with Water and Sanitation for the Urban Poor (WSUP) and OFID, the OPEC Fund for International Development. A follow-up project in Mozambique is currently being prepared. 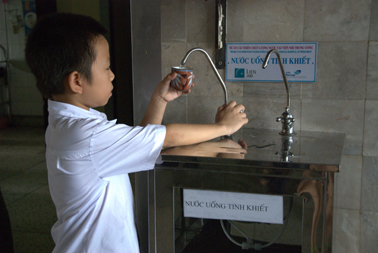 Improving water and sanitation facilities for 124,000 patients and workers at Thach Ha District Hospital, in one of Vietnam’s poorest provinces. Water for the World joined with Borouge’s local agent Han Huy Trading and Singapore-based NHO Lien Aid, to carry out this work. Installing new water supply systems serving more than 5,000 people, after monsoon rains destroyed much of the infrastructure in mountain villages in Northern Pakistan. This project was in conjunction with Pakistan NGO HEED. “Project after project, we see our creative solutions come to life and make a tangible impact on the communities around us, helping people and driving progress,” says Wim Roels, CEO of Borouge Pte Ltd.
“The first 10 years of Water for the World have brought us great experience and pride, and we have exciting plans for the next decade,” adds Ahmed O. Abdulla, CEO of Abu Dhabi Polymers Company (Borouge). Borealis and Borouge announce their contributions to communities in need during the International Water Summit being held in Abu Dhabi from 15-18 January 2018, where companies from around the world demonstrate the projects they carried out across the world to help people in poor communities have a proper access to fresh water and sanitation. This year, the global event promotes water sustainability in arid regions, which goes in line with the strategic objectives of the Water for the World Programme. More information about Water for the World and its vital work can be found on the programme’s new website, launched on the occasion of its 10th anniversary: www.waterfortheworld.net. Borealis is a leading provider of innovative solutions in the fields of polyolefins, base chemicals and fertilizers. With its head office in Vienna, Austria, the company currently has around 6,600 employees and operates in over 120 countries. Borealis generated EUR 7.2 billion in sales revenue and a net profit of EUR 1,107 million in 2016. Mubadala, through its holding company, owns 64% of the company, with the remaining 36% belonging to Austria-based OMV, an integrated, international oil and gas company. Borealis provides services and products to customers around the world in collaboration with Borouge, a joint venture with the Abu Dhabi National Oil Company (ADNOC). 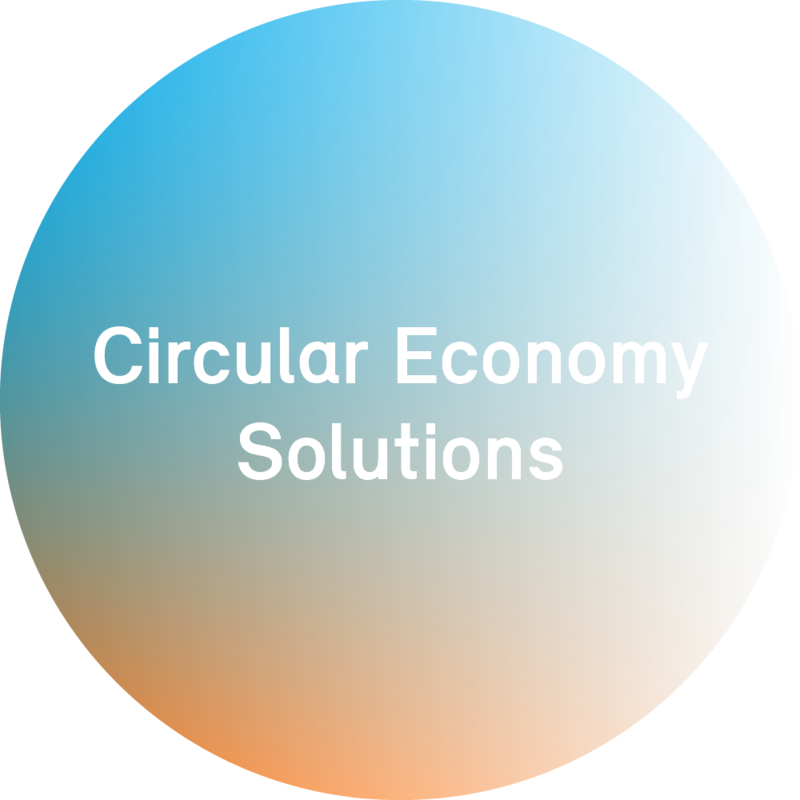 Borealis and Borouge aim to proactively benefit society by taking on real societal challenges and offering real solutions. Both companies are committed to the principles of Responsible Care®, an initiative to improve safety performance within the chemical industry, and work to solve the world’s water and sanitation challenges through product innovation and their Water for the World programme. Borouge is a leading petrochemical company that provides creative plastics solutions for a wide range of industries. Established in 1998, Borouge is a joint venture between the Abu Dhabi National Oil Company (ADNOC) and Austria based Borealis. With its headquarters and production facilities based in the United Arab Emirates and its Marketing & Sales head office in Singapore, Borouge employs over 3,300 people representing more than 60 nationalities and serves customers in 50 countries across the Middle East, Asia and Africa. Using the most advanced proprietary technologies such as Borstar®, Borlink™ and BNT, Borouge produces high quality polyolefin (polyethylene and polypropylene) solutions for packaging, infrastructure, energy, mobility, agriculture and healthcare applications that address global challenges such as climate change, food protection, access to fresh water, energy conservation, healthcare support and waste management. Started production in 2001 with 450,000 tonnes per year, Borouge’s annual capacity has dramatically increased to reach 4.5 million tonnes in 2015 thanks to its three state-of-the-art plants located in Ruwais, 250km west of Abu Dhabi, UAE. Borouge’s production site has become the largest integrated polyolefins complex in the world. Borouge has also expanded its commercial and logistics network in the Middle East and Asia to become closer to its customers and be able to meet their increasing requirements. Supported by its world-class Innovation Centre in Abu Dhabi and its expanded Application Centre in Shanghai, Borouge focuses on providing creative plastics solutions that have a positive impact on society today and tomorrow for a variety of industry segments inspired by its mission, ‘value creation through people and innovation’. Borouge is committed to the well-being of its people and to the principles of sustainability in the communities where it operates. Aligning with ADNOC through embracing the four pillars of People, Performance, Profitability and Efficiency, Borouge is directly contributing to Abu Dhabi’s downstream and supporting its economic growth and diversification goals.